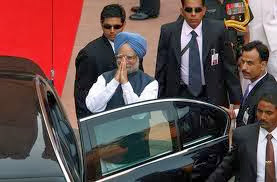 Home > Gyan > Perks_of_PM > Thoughts > VIP Security > Protecting Indian PM – Special Protection Group!! 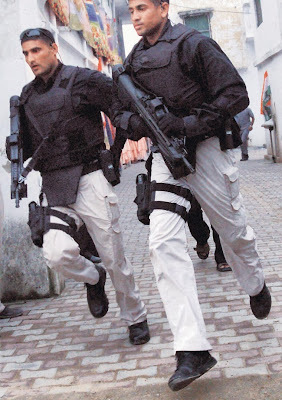 Protecting Indian PM – Special Protection Group!! That is what we spend on securing Indian Prime Minister. Read on to know how and where it is spent. Securing Prime Minister of India has always been a critical issue for the security agencies. But, no one thought of handling this in a professional manner before 1981. 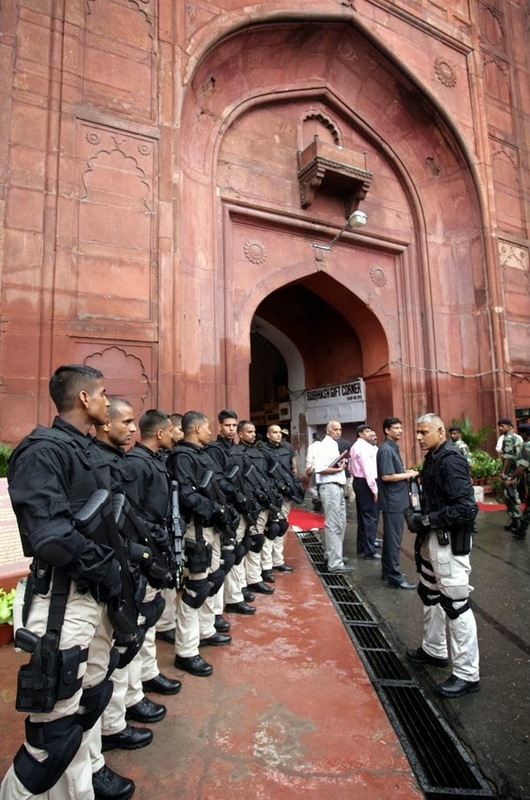 Prior to 1981, PM’s security was handled by a special group within the Delhi Police which provided both proximate security and also protected the residence and offices of the PM. In 1981, a special task force was constituted within the Intelligence Bureau to take over the proximate security in and out of the capital. However, this was still not commensurate with the criticality of the security for the leader of world’s largest democracy. The assassination of Indira Gandhi in 1984 brought this loophole to limelight and security for PM was considered from scratch. And thus was sown the seeds for a specialized organization dedicated to needs for the security of the Prime Minister and his family members. As a first short term measure in this direction, high-level committee of secretaries reviewed the security needs and constituted a special task force under dedicated leadership for the purpose. Based on the recommendation of the Birbal Nath Committee to create a Special Protection Unit, the President of India created around 800 posts for the unit under the Cabinet Secretariat. Shortly thereafter the SPU was then re-christened as Special Protection Group (SPG) led by a director of a rank equivalent to the Inspector General of Police. Thus, 8th April 1985 became the foundation day for this elite agency SPG with Dr. S. Subramaniam, then Joint Director (VIP Security) in the IB, as its first Director. Contrary to what many may think, it was not just a matter of constitution of a new agency under a director. A special team responsible for the proximate security of PM having vast powers to empower it for the tasks was a very new concept for the security agencies. Thus, creation of SPG required elaborate exercise to decide protocols for their activities, developing operating procedures and delineating responsibilities of multiple agencies involved in various aspects of the security. . The provisions contained in the Blue Book, which lays down security guidelines for the protection of the Prime Minister, had to be harmoniously blended with this new concept of proximate security. IB and the State/UT Police concerned were responsible for coordination, collection, and dissemination of intelligence affecting VIP security. State/UT Police and the SPG were responsible for providing physical security arrangements for the Prime Minister while the IB was to provide the required intelligence inputs to these operational agencies. As it is today, SPG is headed administratively by a Secretary (Security) who is responsible for monitoring the security arrangements for the Prime Minister. SPG today is comprised of about 3000 personnel and is entrusted with the sole responsibility of protection of the Prime Minister, former PMs, and their close family members. 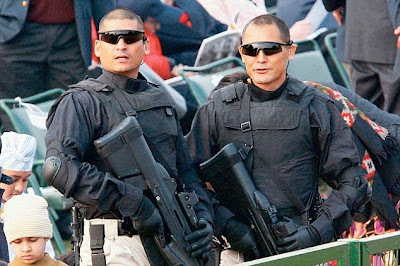 Recruits for SPG are sourced from local Police and the NSG Commandos and they are trained online of the elite US Secret Service. SPG is responsible especially for the proximate security for its protectees including protection provided from close quarters, journey on foot, road, rail, aircraft, watercraft or any other means of transport, and includes places of functions, engagements, residence, etc. They comprise ring round teams, isolation cordons, the sterile zone, and the rostrum & access control to the person or members of his immediate family. This is purely a defensive force for which protection of the VIP is more important than taking down the attacker. Operationally, this security group is divided into the four departments or teams named Operations (looks after the actual protection duties and includes the Communications Wing, Technical Wing and Transport Wing), Training (deals with the training of personnel on a continuous basis including training in physical efficiency, firing, anti-sabotage checks, communication and other operative aspects connected with close protection drills), Intelligence & Tours (looks after the threat assessment, internal intelligence pertaining to personnel, verification of character and antecedents, tours and other allied jobs) and Administration (deals with personnel, procurement and other related matters). As one would expect, this agency with such critical responsibility is provided with the best in class equipment to help them fulfill their duties. Belgian seems to be a favorite source for this agency as far as weaponry is considered. A 5.56x45mm NATO caliber, Belgium-made rifle is the weapon of choice for this agency. This 3.5kg rifle fires 850 rounds per minute and has an effective range of 500m. Commandoes are also equipped with an FN Five-Seven semi-automatic pistol with an effective range to fire 5.7mm caliber bullets up to 50m which is also of Belgian make. However, this is not their only equipment. Personnel with such a huge responsibility cannot work merely with attack weapons. A lot more goes into their gears. SPG commandoes use tactical eyewear which provides them protection against splinters and a ballistic shield to prevent any distraction from foreign objects. 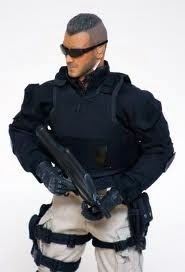 Agency procures light weight and high-grade bulletproof vests categorized as level-3 Kevlar. These specialized vests weighing over 2.2 kgs can withstand a 7.62- caliber bullet fired from 10m from an AK-47 which can be considered an impressive capability. Further special knee and elbow pads along with non-skid combat boots are part of the gear. Security of elite is not a one-time plan and needs to evolve with time. Keeping with this requirement, SPG has grown over time in terms of size and specialization. Their protocols and training are reviewed and updated frequently. Their equipment is maintained at par with the best in the world. The scope of agency also undergoes changes with time. The assassination of Rajiv Gandhi brought forth the need for securing a PM after he relinquishes the office and hence a provision was allowed to provide SPG protection to prime ministers and their family for up to 5 years after office. A special case was made for the family of Rajiv Gandhi based on threat perception of central agencies. Similarly, with changing demographics and trends in the country where women have started taking up key positions and availability of female workforce, the agency has recently empaneled a team of women commandoes ready to take up any challenge which comes in their way of protecting a VIP. Prime Minister Manmohan Singh's wife has become the first Special Protection Group (SPG) protectee to have women commandos in her immediate security cordon. There are many who may raise eyebrows at the expenditure that goes in maintaining this agency which is over 400 crore rupees, but I believe that there are certain expenses which are inherent in running a government. Security of the executive head of a country is one of them. Any threat to the head of a country of such vast expanse as India needs to be responded to and his security ensured. Any incident threatening PM’s life brings a bad name to the nation in entirely. I would agree that there are politicians who use their security as a status symbol and this needs to be curbed. However, securing PM is not an avoidable overhead but a cost of conducting business. Being the head of a nation of over 1.2 billion is itself a symbol of status and PM needs no security to prove his power. This is just a necessity in today’s environment and I hope we maintain this agency at best standards available for such security forces. Thanks a lot for such a great information.